Listen to "The Future of Humanity: Terraforming Mars, Interstellar Travel, Immortality, and Our Destiny Beyond Earth" on your iOS and Android device. Great book, really, really, interesting! 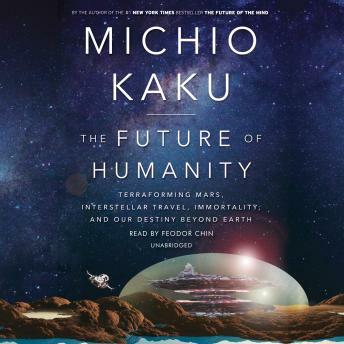 The theoretical future that Michio presents is all very plausible, exciting and sometimes disturbing. I'm definitely going to read more Michio's books.